*Ehem* will there be good game modes now? I prefer LESS game modes. 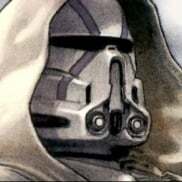 Lets be honest, most SWBF EA game modes were underwhelming or lackluster. I prefer less game modes to keep the community less divided. They just need to make a mode where every match is fresh, and not too similar to the last. For example, in Battlefield 1, I rarely play anything other than Operations, even though it's the same maps over and over again. It's because multiple factors change from match to match. Exactly. I only play Conquest and, occasionally, Operations and Rush. They are good and refreshing modes. Thats what I like about BF1. Limited but excellent game modes. I hope Battlefront 2 EA follows a similar route. "They just need to make a mode where every match is fresh, and not too similar to the last. For example, in Battlefield 1, I rarely play anything other than Operations, even though it's the same maps over and over again. It's because multiple factors change from match to match." They need to make sure the maps are expansive to where people can flank, vehicles that can actually turn the tide of batte, conquest so players can choose their own objective and way to play, and a bigger player lobby with more exciting objectives so players stay intersted.